The following guest post is by Jeanne Lenzer, an award-winning independent medical investigative journalist and author of The danger within us: America’s untested, unregulated medical device industry and one man’s battle to survive it. 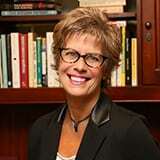 She is a longtime contributor to The BMJ and her articles have appeared in outlets such as the Atlantic, the New York Times Magazine. Washington Monthly, and Slate. 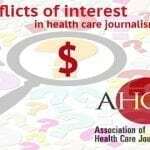 Medical journals require authors to disclose conflicts of interest, a policy that was put in place to help journal readers assess for themselves the validity of the authors’ data and claims. This requirement was the result of a series of studies that found that doctors and researchers who take money from drug or medical device manufacturers are more likely to exaggerate treatment benefits and to downplay harms. There is no similar policy for transparency in the popular media. Despite rising wariness among the public about inappropriate tests and treatments, and increasing attention to doctors’ financial incentives, media outlets don’t routinely require reporters to reveal their sources’ conflicts of interest. This failure to provide such information about expert sources can mislead readers, as a recent article in The New York Times illustrates. It’s time for journalists and editors to make these types of disclosures mandatory. The March 26 New York Times article was written by Gina Kolata and headlined, “For many strokes, there’s an effective treatment. Why aren’t some doctors offering it?” The Times asserts that close to 700,000 stroke patients a year “could be helped” by the clot-busting drug tPA. 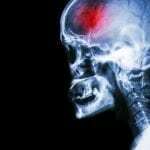 There is no ambiguity in the language, even though ten of twelve clinical trials not only found no benefit for tPA, but did reveal significant increases in brain bleeds, a side effect of tPA. The overall framing of the article suggests that emergency doctors are depriving patients of a drug that could avert disastrous outcomes, including death and paralysis. The Times’ take-home message? Good doctors who read peer-reviewed medical journal articles are upset with lesser doctors who read blogs, listen to Hoffman, and deprive their stroke patients of a beneficial treatment. But would that take-home message have resonated quite so effectively–and would readers have been so quick to embrace this story’s point of view–had they known that the experts expressing support for the drug have financial and professional conflicts of interest? 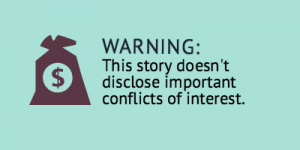 According to the International Committee of Medical Journal Editors, a conflict of interest exists “when professional judgment concerning a primary interest (such as patients’ welfare or the validity of research) may be influenced by a secondary interest (such as financial gain).” While taking money from a drug maker does not necessarily lead to bad science, conflicts of interest are known to increase the likelihood of bias in favor of the sponsor’s product. Edward C. Jauch, MD has received consulting fees and research funding from the manufacturers of tPA, Genentech and Boehringer Ingelheim. Christopher Lewandowski, MD has received research funding from Genentech. Gregg C. Fonarow, MD, received approximately $200,000 from various drug makers from 2009 to 2015. Although none of Fonarow’s funding came from tPA manufacturers Genentech or Boehringer Ingelheim, there is an interesting but overlooked conflict that exists for doctors like him, and which readers might want to take into account. According to a study published in the New England Journal of Medicine in 1998, doctors who supported the use of a certain class of drugs were more likely to have financial ties to the manufacturers of those drugs (97 percent) than doctors who had neutral or negative views (37 percent). Yet in an overlooked twist, doctors who took money from any drug manufacturer, (including competitors) were also more likely to express positive views (60 percent). Gina Kolata has been reporting on tPA since at least 1995, and some of that previous reporting, such as this feature she wrote for the Times in 2007, has also contained major flaws. The 2007 piece quoted stroke specialists who claimed that tPA could “save lives.” The claim was inaccurate; no study has ever shown that tPA saves lives, and one clinical trial had to be stopped early because stroke patients treated with tPA were more likely to die than patients given placebo. After being challenged to back up the claim that tPA saves lives, the Times published a correction: tPA, they acknowledged, had not been shown to save lives. In that story, the Times also failed to disclose the extensive financial conflicts of the pro-tPA experts who were quoted. Medicine continues to be plagued by poorly reproducible studies. The storyline is familiar. First, a very positive study is released in a major medical journal, with great fanfare. This leads to widespread changes in practice. Decades later, it becomes clear that the study was incorrect. Investigate and report possible links between sources of information (studies or experts) and those (such as the manufacturers) who promote a new idea or therapy. This call is going unheeded by many journalists who either don’t disclose such interests at all or do so in a selective, possibly biased, manner. Imbalanced stories like this one don’t serve science, and they don’t serve patients. 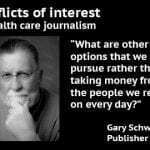 The public needs to know about financial conflicts in press reports just as urgently as physicians and researchers reading the medical journals. 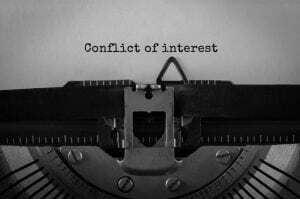 It’s time for journalists and popular media outlets around the globe to establish the ethical obligation of journalists to report conflicts of interest, when they exist, of all our sources and experts. NNT, a group primarily comprised of emergency physicians, whose claims for non-benefit of alteplase are highly questionable; their claims do not coincide with medical industry standard Cochrane 2014 review of “Clot-dissolving drugs for treating ischaemic stroke in the early stages”. That review concludes: “Thrombolytic therapy given up to six hours after stroke reduces the proportion of dead or dependent people. Those treated within the first three hours derive substantially more benefit than with later treatment. This overall benefit was apparent despite an increase in symptomatic intracranial haemorrhage, deaths at seven to 10 days, and deaths at final follow-up…” Many more studies in support of tPA for acute stroke can be cited, as any disinterested search of the literature can show, unequivocally. Although I’ve approved this comment, I take issue with your insinuations about Hoffman’s “hostility” to tPA and the “highly questionable” NNT analysis. This repeats the implication in the New York Times article that legitimate questioning of tPA is not based on science or concern for patients but is rooted in politics or personal animus by those who are not qualified to evaluate the evidence. You made the same insinuations in previous comments regarding Hoffman’s “payment in hero worship.” I regard this as repetitive and will not approve future comments that make this type of attack. To call “tPA for Stroke: The Story of a Controversial Drug” a “promotional book” carries the implication that is was a piece of advertising or funded by advertising dollars. It was not. I authored it with Justin Zivin and it is published by Oxford University Press. It provides a history the drug, the basic science behind it, and the clinical trials and controversies in neurology and emergency medicine. It also includes critical appraisals of Ms. Lenzer, Dr. Hoffman and the drug company Genentech. The book does advocate for the use of tPA to treat stroke; I am indeed a contract medical writer and have written for pharmaceutical companies. Patient safety is one of my areas of expertise. I think we know enough about this book to view its content and the claims of its authors cautiously. Dr. Zivin is a paid consultant to Genentech. When the author of a book about a drug is paid by the manufacturer of the drug, the conflict of interest should be quite apparent. Mr. Simmons is a contract medical writer for pharmaceutical companies who presumably wants to do more contract writing for pharmaceutical companies. This is also a conflict of interest when writing about a drug. Mr. Simmons says the book was not funded by “advertising dollars” — but was it funded by Genentech in other ways, such as through editorial and/or consulting payments to Dr. Zivin or to Mr. Simmons? Even if Dr. Zivin did not receive payments directly for authoring the book, his ties to the company should prompt very close scrutiny of anything he has written on the topic. Sixteen years ago, long before the controversy about the efficacy and safety of tPA for acute stroke, my systematic review of thrombolysis (tPA and other thrombolytics) for heart attacks appeared in Medscape General Medicine: https://www.medscape.com/viewarticle/414942_1 In short, my findings were that tPA and other thrombolytics were not evidence-based to reduce mortality in acute myocardial infarction. The theoretical basis for thrombolysis for AMI, the “open artery hypothesis”, did not account for any reduction in mortality. The drug company funded trials were biased and financial conflicts of interest were everywhere. Each year, over 3,000 Americans bleed to death due to thrombolytics for AMI. I estimated the cost to Americans in 2002 at $400 million – $575 million. In the last 16 years, no one commented on the review. It has been more effective for proponents of thrombolytics for AMI to ignore this systematic review than to attack it.